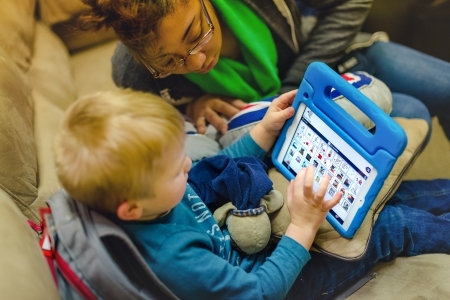 Augmentative and Alternative Communication (AAC) therapy is provided by our Speech-Language Pathologists. Our therapists evaluate, treat, and train other professionals on large array of AAC devices. AAC interventions can include low tech systems (i.e., sign language, communication board) and high-tech systems (i.e. speech generating devices). Our therapists have the knowledge and expertise to make the most appropriate AAC recommendation for your child. AAC therapy is appropriate for any individual who has difficulty expressing their wants and needs verbally. Additionally, our therapists work closely with families to ensure generalization to all settings. Below is a list of some of the skills targeted during AAC therapy. This list is not inclusive.